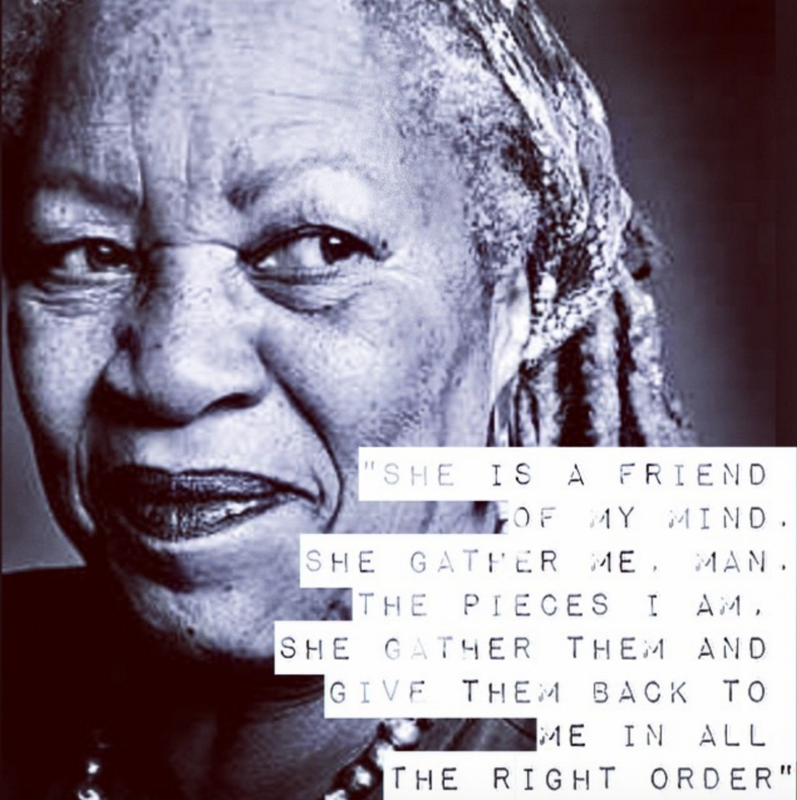 From her unyielding conviction to write beyond the white gaze, to her profound themes on womanhood, love, the value of black men in America, religion, and colorism, Toni Morrison has said it all...and then some. Photo: tumblr That's why the author, born Chloe Ardelia Wofford, is celebrated as the First Lady of Literature today. On her 85th birthday we've rounded up some of her most profound statements on love, language, and self. 3. "I've been just bored with evil. It's just not interesting. Evil wears a top hat, and it has tap shoes, and a cape, and it's on stage. And it's hollering. And goodness is always backstage, sort of waving. [Evil's] gotta have a costume. It's gotta be loud. It's gotta be bloody. Are you gonna do a double take?" 4. "All water has a perfect memory and is forever trying to get back to where it was." 5. "Art reminds us that we belong here. And if we serve, we last." Photo: youtube 11. "Make a difference about something, other than yourselves." 16. "Your real job is that if you are free, you need to free somebody else." Photo: tumblr 17. "As you enter positions of trust and power, dream a little before you think." 18. "Does your face light up?" 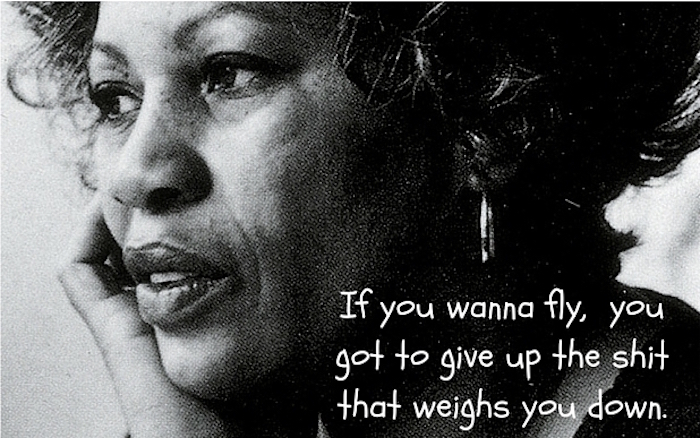 What are some of your favorite Toni Morrison quotes? Share them with us and with your friends below, and let's celebrate her birthday with the gifts she's given to us, her words!